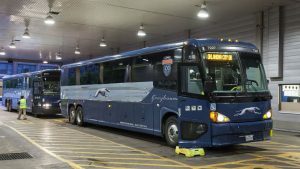 We are not usually concerned with buses at Railway Age, but what would happen if Greyhound buses suddenly disappeared from American roads, and Amtrak became the only provider of passenger transportation with a nationwide reach? 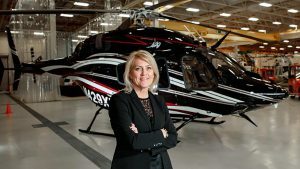 That speculation is not as far-fetched as it would appear at first blush, as a similar scenario is being played out at this writing in much of Canada. 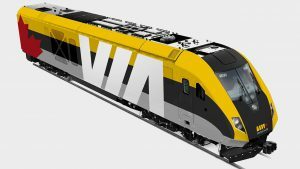 VIA Rail Canada announced that it has awarded Siemens Canada a C$989 million ($741 million) contract to supply 32 intercity trainsets for the Quebec City–Toronto–Windsor corridor. You think Amtrak has problems with long-distance train punctuality? 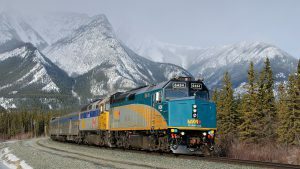 VIA Rail Canada recently has been experiencing debilitating delays with the Canadian, its premier, first-class Toronto-Vancouver train, renowned for luxurious accommodations, excellent on-board service, and—oh yes—dining cars. But I’m not going to broach that subject just now. 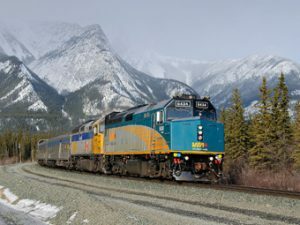 Continuing a four-year trend, VIA Rail Canada posted strong ridership and revenues in 2017, carrying 4.4 million passengers, an increase of 10.5% over 2016 (the largest year-over-year growth in the past decade), with revenues of C$365.7 million, a 12.8% increase over 2016. 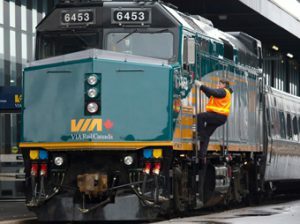 Canada’s VIA Rail has followed up on news that Ottawa will help fund replacement of locomotives and rolling stock on its most heavily-traveled route. 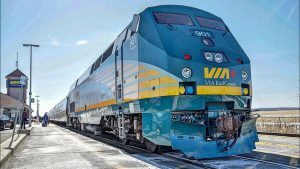 VIA Rail will be offering 20 weekday departures between Toronto and Ottawa, adding a 10th round-trip to its regional service. 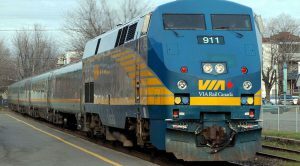 A new evening departure from Toronto to Kingston also will be added, along with additional stops in Trenton Junction and Guildwood. 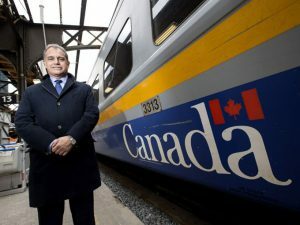 VIA Rail Canada set ridership records over the Canadian Thanksgiving weekend. From Oct. 5 to 10, 2017, 193,900 passengers used VIA’s four main services—Cross-Canada, Quebec-Windsor, the Montréal-Halifax Ocean and the Toronto-Vancouver Canadian—for an average 20.8% increase over the same period in 2016, excluding the Ocean, which rose 5%. 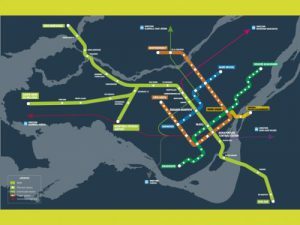 VIA Rail is coyly dripping details of its desired route for dedicated “High Frequency Rail” (HFR) service linking Quebec City, Montreal and Toronto as it seeks to build political support for the C$6 billion scheme that requires approval of its single shareholder, the government of Canada.